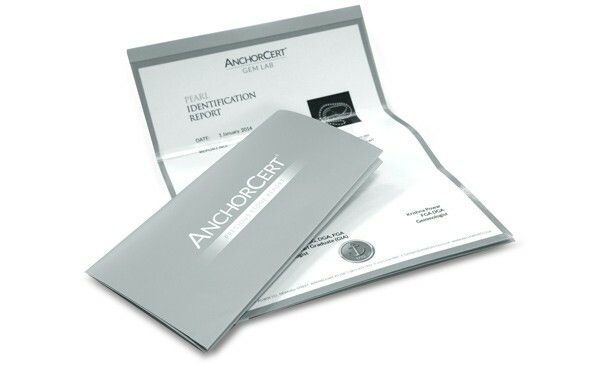 AnchorCert Gem Lab offers Pearl identification reports. Strings of pearls and loose single pearls can be examined and, depending on client requirement, results can be provided as written AnchorCert Gem Lab Reports or verbal consultations. Anu Manchanda, senior gemmologist for AnchorCert Gem Lab, explains how some of the most popular pearl enhancements – applicable to pearls created by a natural process – are carried out and subsequently detected. Pearls have been sought-after for centuries due to their beautiful natural lustre. The process by which a mollusc creates a pearl is a natural phenomenon and even though the majority of pearls on the market in the 21st century are ‘cultured pearls’ and have been the subject of some human intervention, their creation still depends upon a natural process. Pearls are formed in molluscs, living in both saltwater and freshwater. They occur when the mollusc is invaded by a foreign substance such as a small piece of grit washed in by the sea. At this point the mollusc will immediately start to build natural defences to protect its nucleus by way of adding layers of nacre, creating a pearl as we know it. As with all natural products, the colour and lustre of pearls varies widely and there are many ways to enhance and improve them in order to increase their value on the market. The idea of treating pearls is centuries old and the writings of Pliny from 2000 years ago have reference to some of the treatments still used today. Pearls created by the natural process are organic gem material and come out of the oyster requiring no cutting and polishing apart from cleaning. The pearls are usually washed or soaked in mild hydrogen peroxide to clean or bleach them as required. Most freshwater pearls undergo such a process before coming to market, and this is accepted by the industry as a routine practice. Other accepted treatments are buffing with beeswax or polishers to improve the lustre or remove minor surface scratches. The process must be done without chemical intervention as this can affect the nacre. Pearls can be enhanced by other methods too, but these treatments must be disclosed to the buyer at all stages of the supply chain as the fact that the pearl has been treated will make it less valuable than an apparently equivalent pearl in its natural state. There are five main ways in which a pearl can be treated and each has its own tell tale signs that a gemmologist will look for when assessing a pearl. 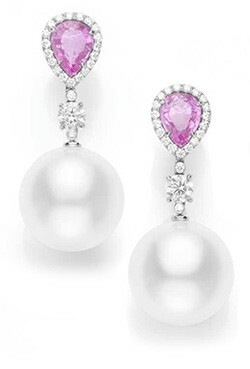 Pearls may be overtly stained to create a colour that would never appear naturally. For example, they may be stained grey or black by soaking them in a solution of mild silver nitrate and ammonia and then exposing them to light. When the silver nitrate comes into contact with light it decomposes and deposits a sub-surface layer of metallic silver. Other organic and inorganic dyes can be used to impart different colours to the pearls which do not deliver such an obviously unnatural colour. The dyes usually stain the nacre of the pearls. This treatment can be carried out on natural and cultured pearls. Pearl farmers regularly give a rosé overtone to akoya pearls by a process called ‘pinking’. Jewellers and gemmologists assessing a pearl for treatment can identify a dyed pearl by looking down a drill hole to see the concentration of colour near the surface or the concentration of dye in the cracks. Sometimes the pearls are dyed on the strand and the strand may also take the colour of the dye. Further assessment needs more sophisticated equipment. The silver on a stained pearl will show up under an X-radiograph as a pale ring between the nacre and the bead nucleus. 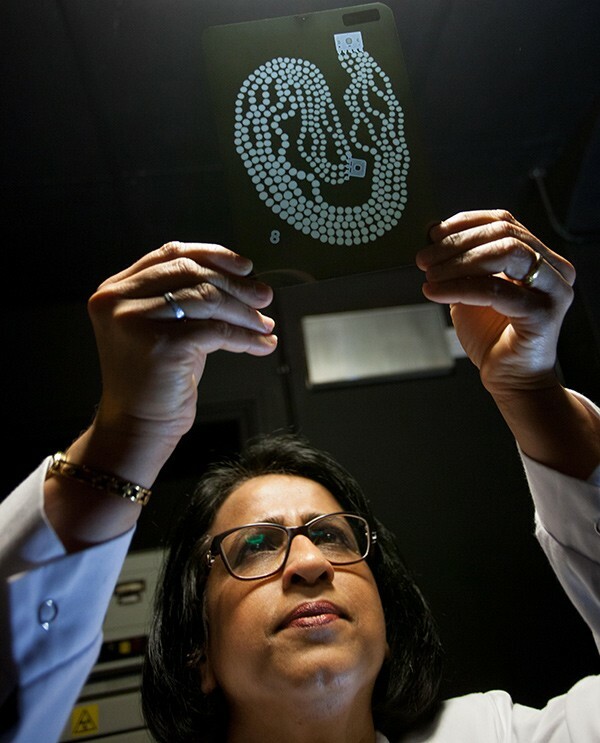 The presence of silver can also be picked up by testing the pearl using X-ray fluorescence test. Dyed pearls also react in a different manner to UV fluorescence than a natural coloured pearl; they are inert or dull green to UV while the natural pearls can fluoresce from bright red to dull reddish brown. Dye can also be picked up by infrared photo test, fibre optic test and high magnification. Gamma ray irradiation is another method used to colour pearls. The gamma ray usually imparts colour to the nucleus of a saltwater pearl instead of colouring the nacre, whereas in a freshwater pearl the gamma ray will make the nacre very dark and may also give it a metallic and even iridescent sheen. An experienced gemmologist will recognise the darkened nucleus in a beaded cultured pearl, which can be seen from the drill hole, as an indication of irradiation due to gamma rays. For both dyed and irradiated pearls the matching colour in the strand can be a very good indication of treatment. If the colour is natural there may be a very slight variation from pearl to pearl, but in a treated strand the colour may be suspiciously uniform and perfect. Pearls can be coated to enhance their lustre. A clear lustrous coating is applied to the pearl, which improves it temporarily, but with time and use the coating may peel off showing the inferior lustre underneath. The coating can be detected by the feel or where the coating has peeled off. 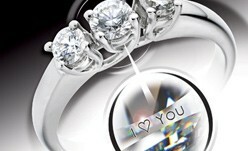 Under high magnification the coated surface will look very smooth in contrast to the natural, scaly look of the nacre. Natural pearls can be filled with epoxy or other foreign material to either make them of the weight expected for their size or to make them more solid and durable if there is a gap between the nucleus and the nacre in a beaded cultured pearl. The treatment can be detected by X-radiographs. Historically, natural pearls have also been improved by peeling off any stained, dull or damaged layers of nacre. This is an exceptionally skilful process requiring experience and expertise, as otherwise one peeling can lead to another until no pearl is left. The wide variety of treatments available has brought attractive, affordable pearls to every level of the market. What is important for the continued popularity of pearls, and the integrity of the jewellery industry, is that such treatments are disclosed and reflected in the price of the pearl. Just as with a precious metal alloy, it is not always immediately apparent whether a gemstone is what it purports to be. As treatments become more sophisticated and identification more difficult there is an ever-increasing need for transparency in the trade and independent assessment using sophisticated technology. 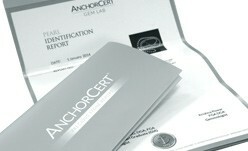 Contact AnchorCert Gem Lab to discuss your Pearl Identification requirements further.